It's my stop today on the Paperie blog tour, celebrating the magical limited edition fabric line by Amy Sinibaldi for Art Gallery Fabrics. Thanks for stopping by! 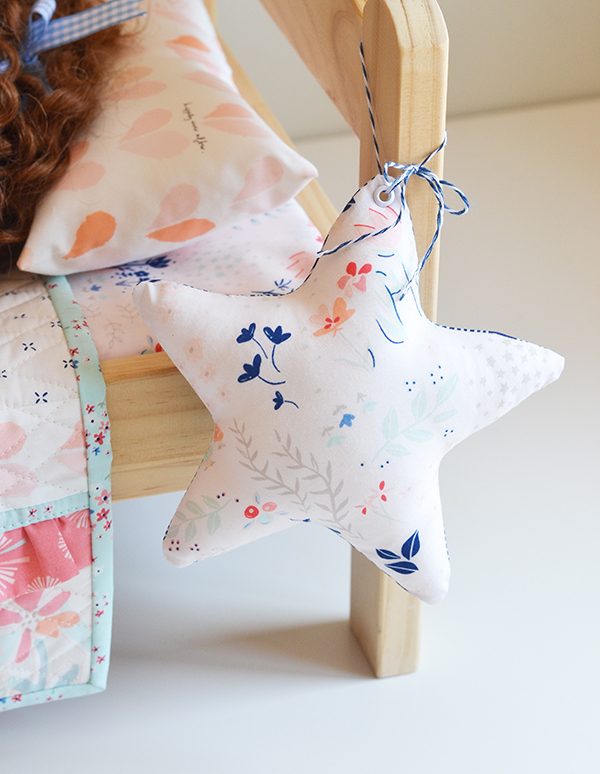 Amy showcases her designs on her sweet blog, Nana Company. She has a very unique sewing style -pretty and feminine but also modern, and simply inspirational. So when I first heard she had a fabric line in the making I was so excited! I imagined it would be truly sensational, and boy was I right. I love the pastel colours, the ethereal feel of the line, and the hand-drawn elements. Exquisite details and clever designs - it really doesn't look like someone's first fabric line, does it?! But then again, whatever Amy does she does so well, so it's no surprise that her fabric is no exception. My only complaint about the line is that I wish there were more prints, I simply couldn't get enough of it! So... what did I make? 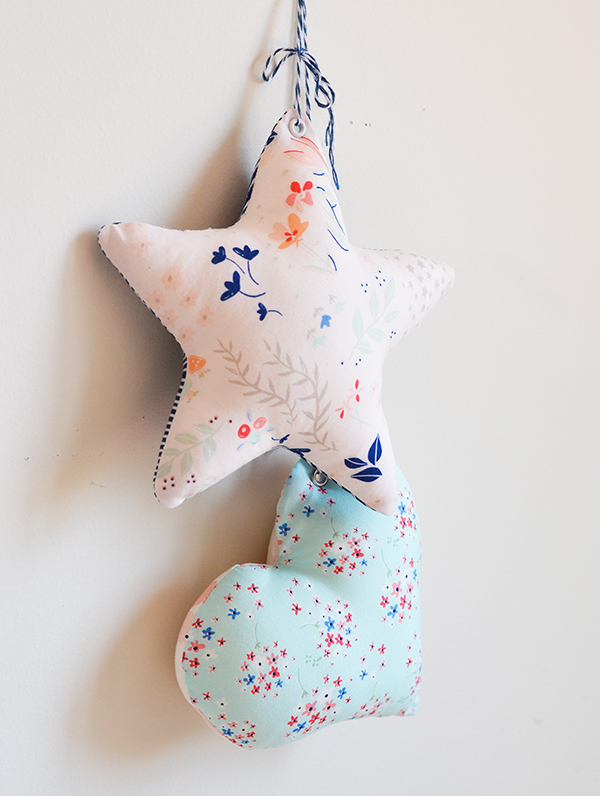 When I received my fabric bundle I literally had to drop everything and run to my sewing room to make these star and heart ornaments as 'warm up'. Then I sat down and designed a sweet doll quilt. Did you like the doll quilt? I hope you did, as it's one of the designs from my upcoming book, which will be published in just a few months! There I said it, the cat's FINALLY out of the bag! This has been such an exciting few months, and I am so SO grateful to Tuva Publishing, for making this huge dream of mine come true. 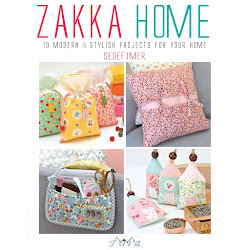 Incidentally, Tuva are also the publishers of Amy's book, Sweetly Stitched Handmades! I will be sharing more info about my book in the coming weeks, but hopefully you are liking what you've seen so far. 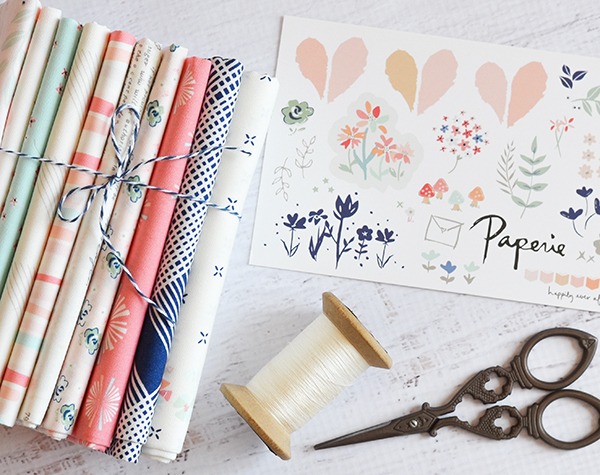 Last but not least, of course I will be giving away some lovely Paperie, courtesy of Amy! There is a giveaway running on my Instagram feed right now - go enter so you can win a fat eighth bundle for yourself and one more for a friend! 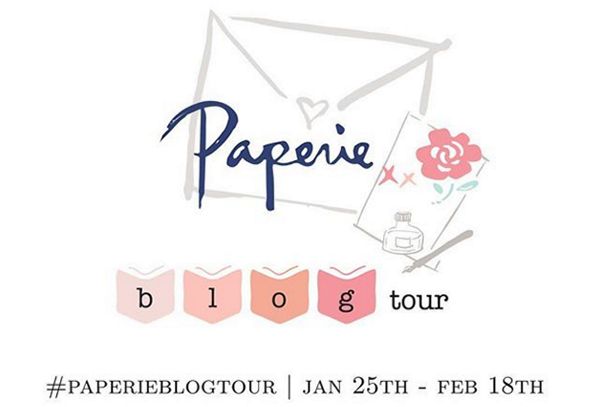 Here is a full list of all the designers taking part in the blog tour! Go check their amazing creations too! I can't enter the giveaway, I don't use Instagram. Congratulations on your upcoming book. Love the dolls quilt very meticulous work. Thank you for sharing your projects. 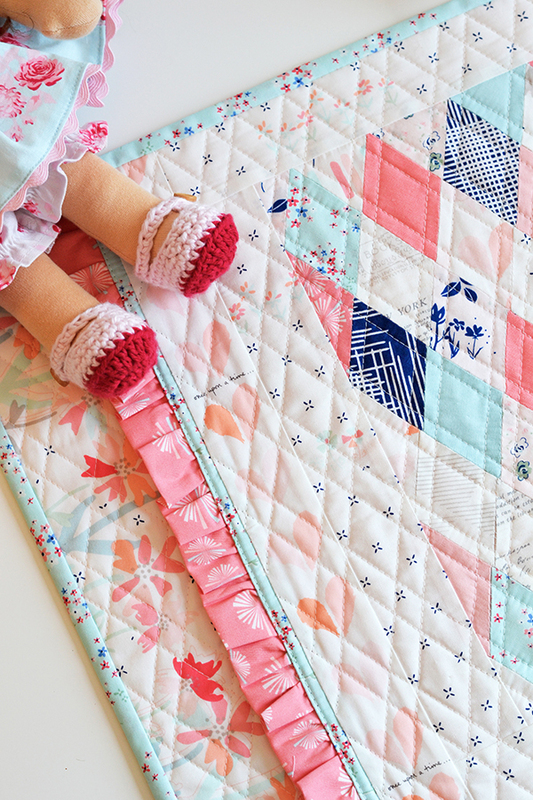 Soooo sweet - the little doll and quilt are adorable! I just may need to make one for some sweet little granddaughters of mine! Thanks for sharing and the chance to win (I'll need to go to Instagram)! Beautiful and inspirational makes! Looking forward to your book and fabric line, can promise you right now that I'll be making it all! Love your style. This doll quilt is so nice - you made really somethin sweet!!!! Absolutely beautiful Sedef! 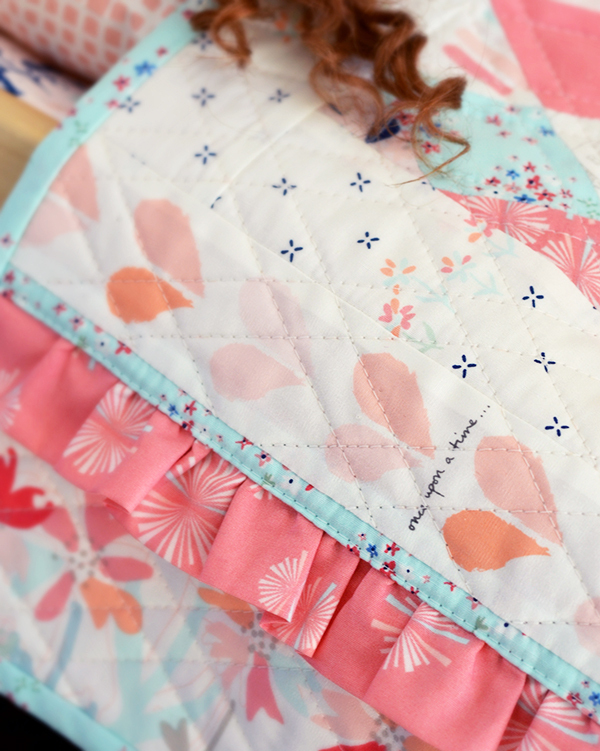 I LOVE the doll quilt and all the details and can not wait to see more from your book! Congratulations!! I am greatly looking forward to your book. I hope to buy it. I am a new gramma and would love to make doll bedding for my baby Sarah. I will be following your blog and on IG as well. Your creativity is really inspiring. I just love the special details. I love "the appearance of perfection" -as we try to make things as special as we can. Perfection! Such beautiful work and the details that you included! 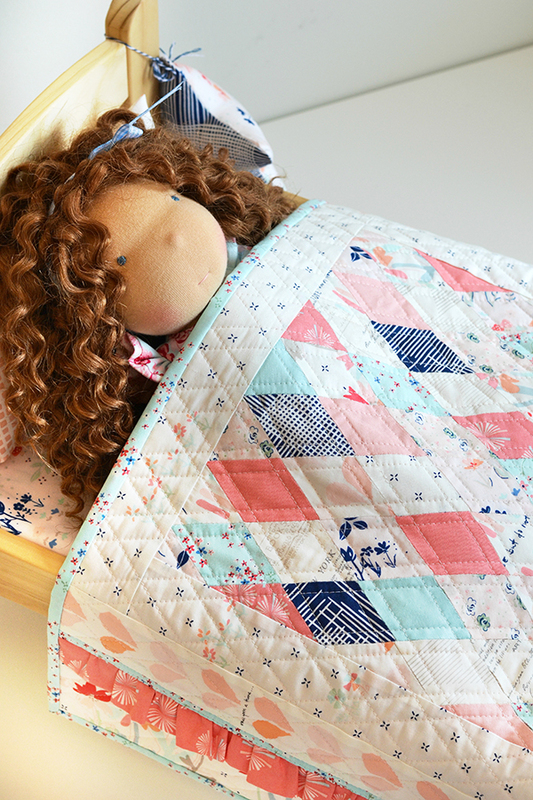 Every little girls dream to have a doll quilt like that one! I am very excited for your book! Congratulations! Oh my! Lovely photos of your beautiful pieces!!! This would be a little girls dream!! Thanks for sharing! So very sweet! Thank you for sharing! Very cute! That's exciting about your book! Your doll quilt and matching little pillow are so pretty. Any little girl would love this for her Dolly and what a lucky Dolly! 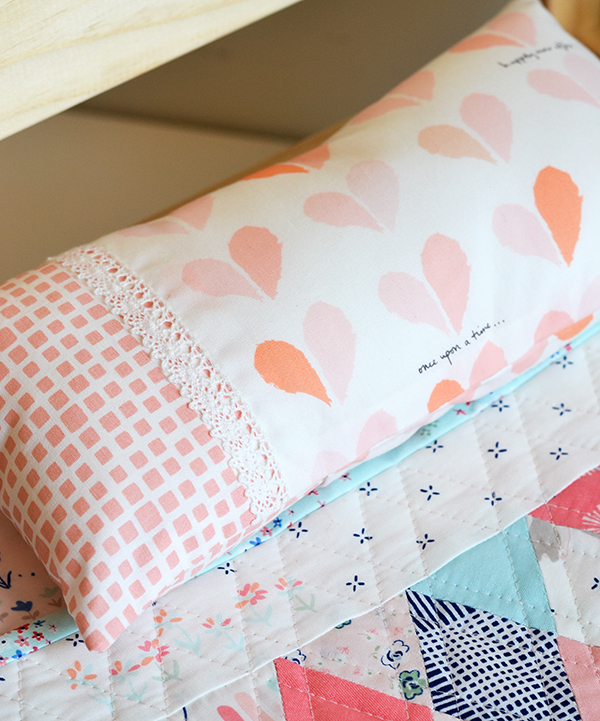 I'd love to sleep on such a sweet pillow and under a pretty quilt like this! You did an amazing job! Great big congratulations on your upcoming book! That is exciting news and I will be watching for its release! Your doll bedding is so beautiful. I really love your doll too. 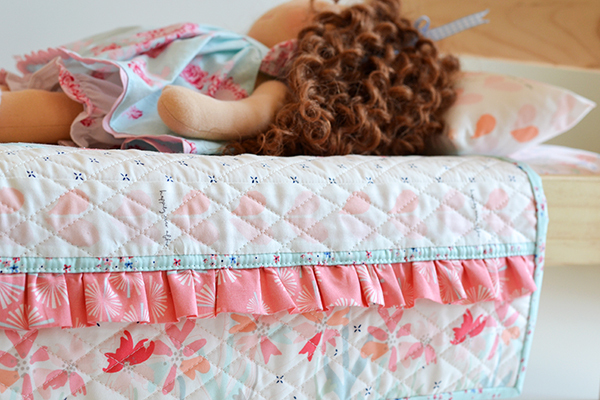 Love the ruffle on the doll quilt. 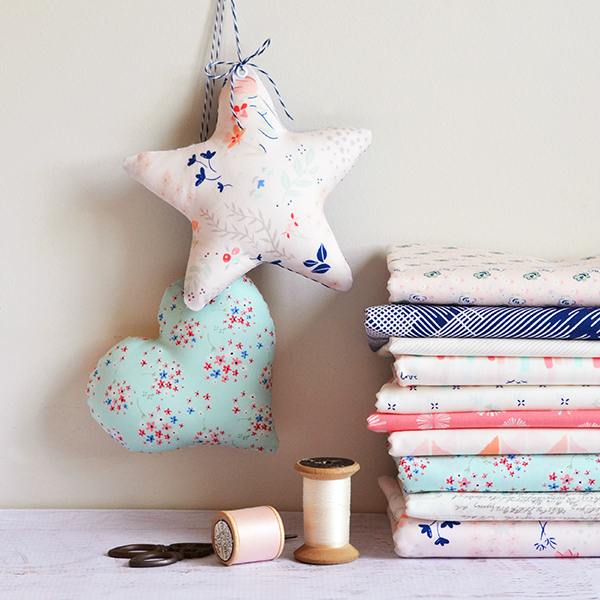 Such a sweet line of fabrics and your doll quilt is the best. Diamonds are a girl's best friend! Congrats on the book deal. Love, love, love your sweet makes using Papiere. 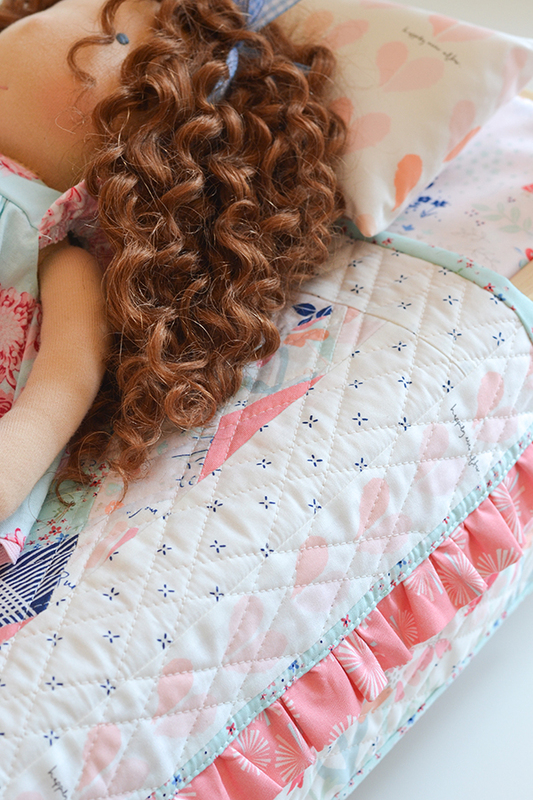 Doll baby has the most beautiful quilt and matching pillow! You have such talent and how lucky we are that you share it with us. Excited about your book and lovely fabric line. Woohoo! The pillow and the doll quilt are wonderful! I don't have an Instagram account but Thank-you for sharing. 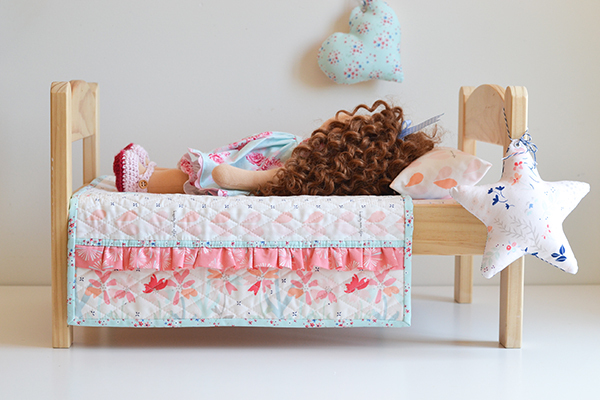 Love everything you made with the Paperie fabric - especially the little ruffles on the doll quilt. Beautiful fabric and projects! What a delightful collection for tiny dolls or big girls! 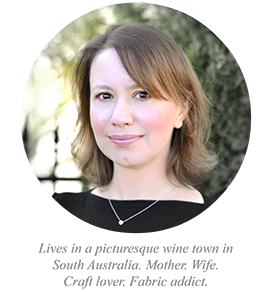 Congratulations on your new book--I'm sure it will be a big hit, Sedef! What cute projects, love the doll quilt. Congrats on the new book. The doll quilt is adorable, congrats on the book! Wow! I love what you have done with paperie! Beautiful! 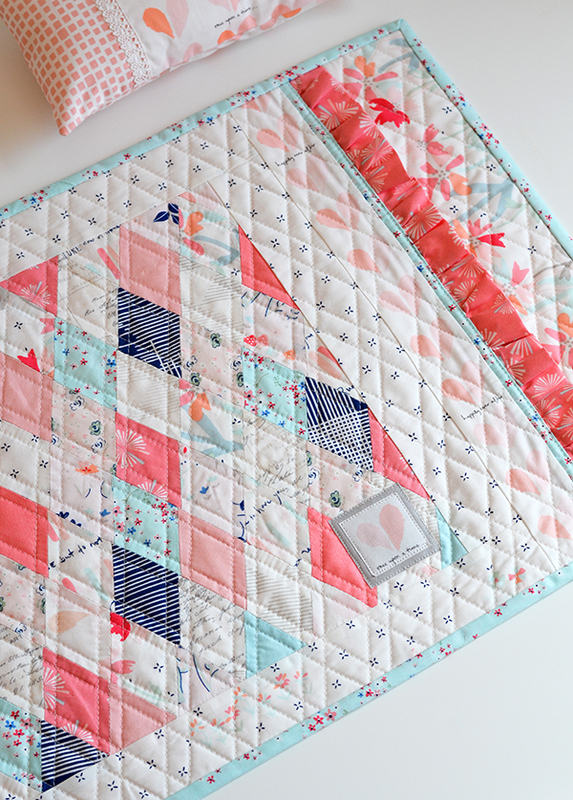 I "sew" love the little doll quilt!